We lately visited the Neanderthal Museum. This guy is set up inside. He is a Neanderthaler in a suit. Amazing how that looks. How would a Neanderthal woman look in modern clothes? Were they really of a different species? According to Richard Leakey, a Neanderthal person wearing modern clothes would pass unnoticed in any New York Subway. 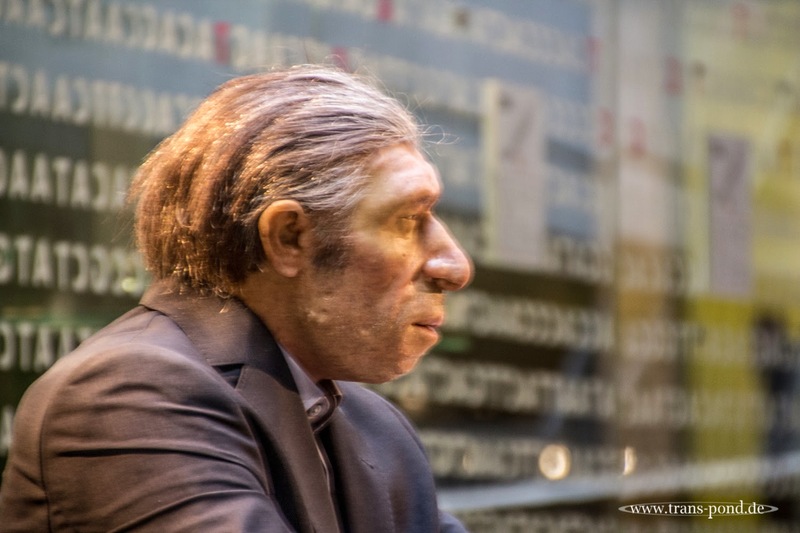 According to the Life book of Early Man, a Neanderthal man, if wearing a dark business suit, would pass unnoticed in a spermarket. He might be shorter than the person serving him but not necessarily the shortest in the store. He might be more muscular than most, but probably no more so than the man handling the beer cases at the back of the store. Please follow me on Twitter. My BBC link is about Olympus Mons. You should aldo be able to find me on Google by searching for Keller BBC or BBC Keller.